Apple has just released iOS 8.4 (Build number: 12H5143) for iPhone, iPad and iPod touch. You can get this latest operating system version OTA and or via direct download links that we have shared with you below. 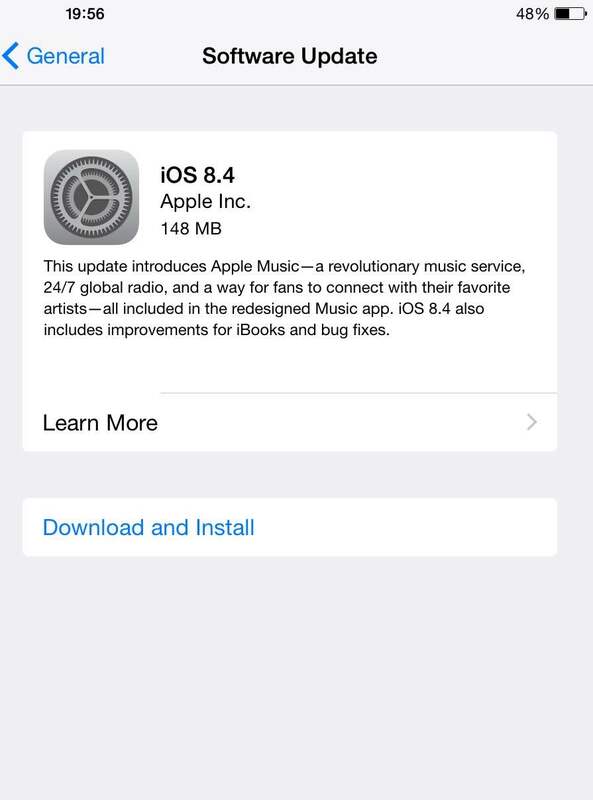 After 4 beta versions, Apple has finally released the iOS 8.4 for public bringing Apple Music to the fans. Apple Music for iPhone, iPad and iPod touch requires iOS 8.4, so you need to update your device to this latest version to be able to use the new streaming service. Apple Music was announced earlier this month at WWDC keynote as an all-in-one streaming music service. The platform is not only about music streaming as it offers global radio station and social platform for artists to connect with fans. Apple Music will be offered as a FREE trial for the first three months after which you will have to pay $9.99 every month. Apple TV and Android versions of the service are expected to be available in the fall. The iOS 8.4 latest update also fixes the ‘effective power’ iMessage bug discovered last month along with iBooks improvements and some Apple Watch integration fixes where deleted apps would re-install. 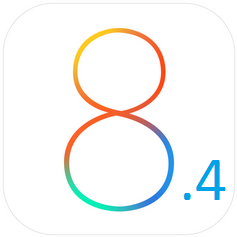 Here are the iOS 8.4 direct download links. You can also update to iOS 8.4 from Settings > General > Software Update > Download and Install. If you have jailbroken your iPhone, iPad, or iPod touch on iOS 8.1.3 – iOS 8.3, it is advised to wait a little before you update to iOS 8.4. TaiG released iOS 8.3 jailbreak tool a little early. However, it is not likely that Apple could have patched up all the loopholes. But, to be on the safe side, stay away from iOS 8.4 until TaiG team officially updates about it. – iOS 8.4 Jailbreak Update – What to do?